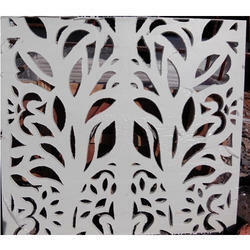 Manufacturer of a wide range of products which include cnc 2d services. We provide services for CNC 2D Services & 3D cutting and designes, Engraving on various materials like Natural Stones, MDF, Playwood, WPC sheets, Acrylic sheets etc in Jaipur. Size : Maximum Upto 8' X 4'. Thickness : Maximum Upto 3 Inches.